He could bring the wild world searingly to life. Only Ted Hughes and J A Baker have ever matched him in this capacity. The use of sound is the key to his poetic technique ‘ . . . sere reeds of the riverside’. You can hear the reeds whispering in this sentence. Later in life Williamson became disillusioned with his great book, feeling that it had overshadowed the rest of his work. But he would always be deeply connected to Tarka. As Williamson lay dying in a Devon hospital the first film of Tarka was being made. He passed away at the same time as they were shooting the scene of Tarka’s death. 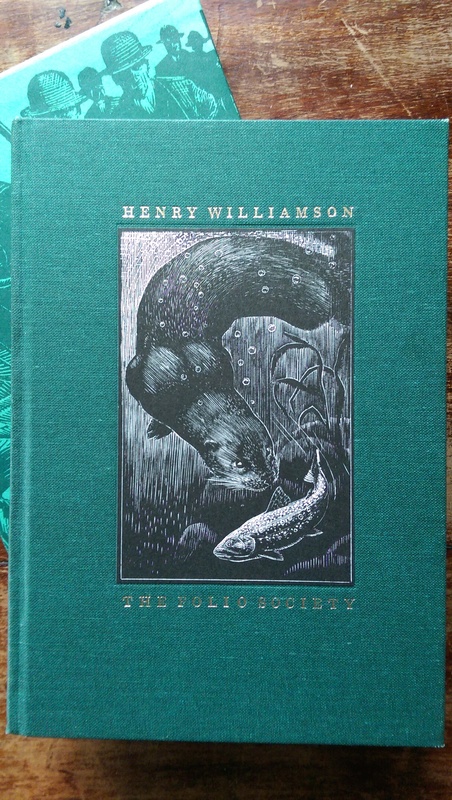 The image shows the 1995 Folio edition of Tarka the Otter featuring the illustrations of C F Tunnicliffe, perhaps the greatest Welsh naturalist artist.